Peter Hazlewood is parting ways with Deutsche Bank after just six months as its Head of Financial Crime. Deutsche Bank has a new void to fill in 2017, losing its Head of Fighting Financial Crime and Money-Laundering, Peter Hazlewood, following a stint lasting just six months, according to a recent report on the Financial Times. The Anti-Financial Crime unit at Deutsche Bank serves as one of its biggest buffers against illicit transactions and procedures. Its anti-money laundering program also helps provide support for international efforts to combat money laundering, financing terrorism and other criminal acts. Mr. Hazlewood stepped into the role back in July 2016, having been in position as head of the unit for nearly half a year. 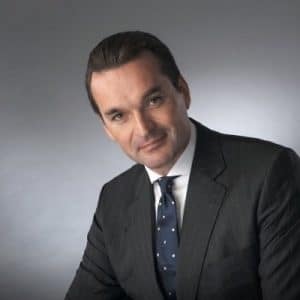 Prior to working at Deutsche Bank, he also served as the Global Head of AML Compliance at HSBC Group Holdings for over two years, dating back to 2013. Additional roles also include stints as the Global Head, Financial Crime Risk Operations at Standard Chartered, as well as the Managing Director & Head, Compliance Services & Security at DBS Bank. The majority of his career has been relegated to JPMorgan, which extends back to 1996, according to information made public on his Linkedin profile.